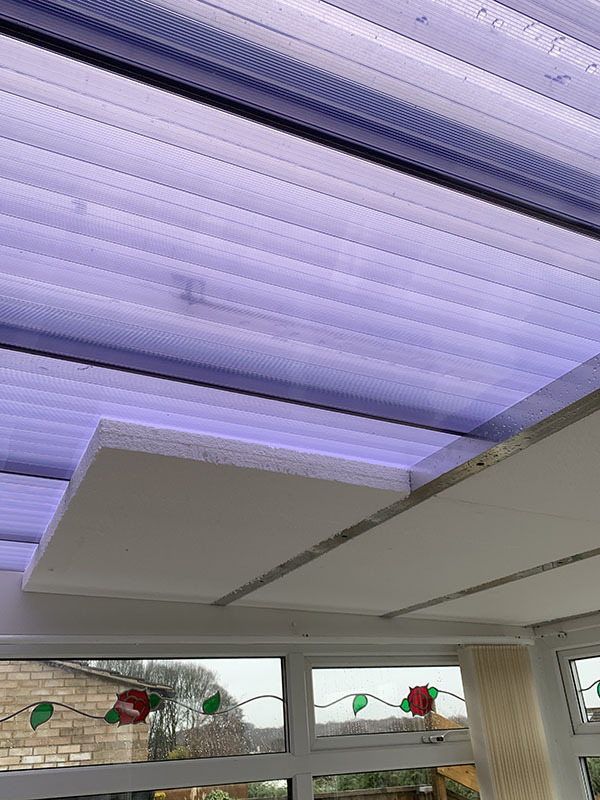 A client came into our showroom to ask if we could clad his conservatory ceiling, effectively giving the conservatory a solid roof inside, however still retaining the polycarbonate roof outside. This was something we could do, so quoted the for the job. 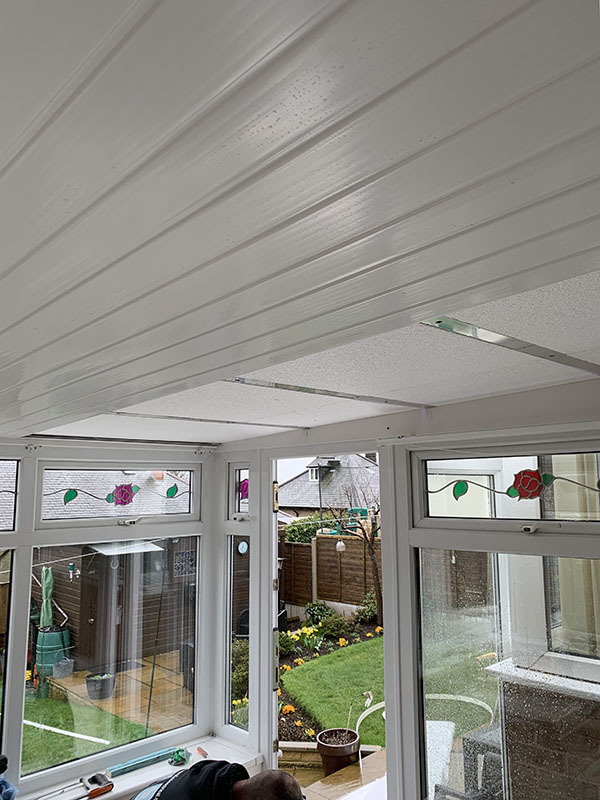 We undertook the job to insulate and clad a three metre square conservatory roof using a 50-mm box aluminium section across the underside of the roof, securing them to the internal struts of the Ultralite roof with self-drill screws. 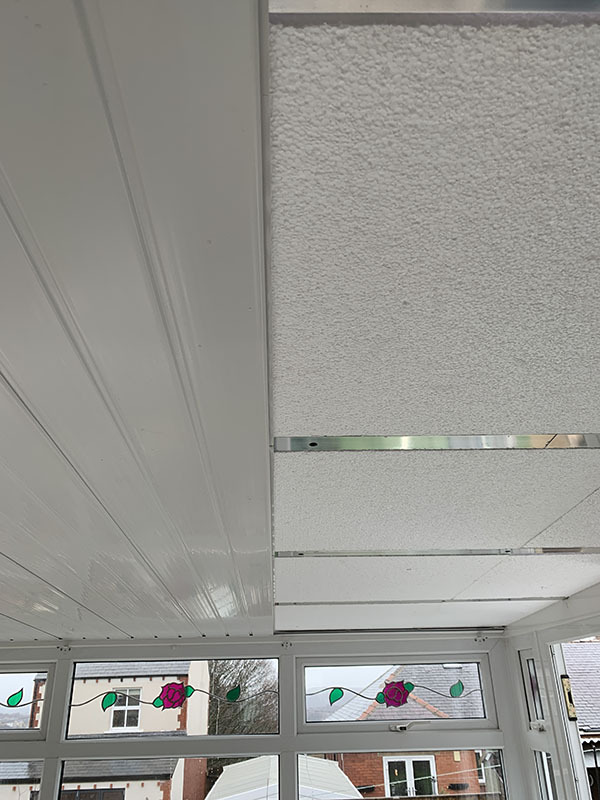 We then cut up the 50-mm thick white polystyrene sheets into 600-mm wide strips and secured these to the roof with clear silicone between the aluminium box sections. 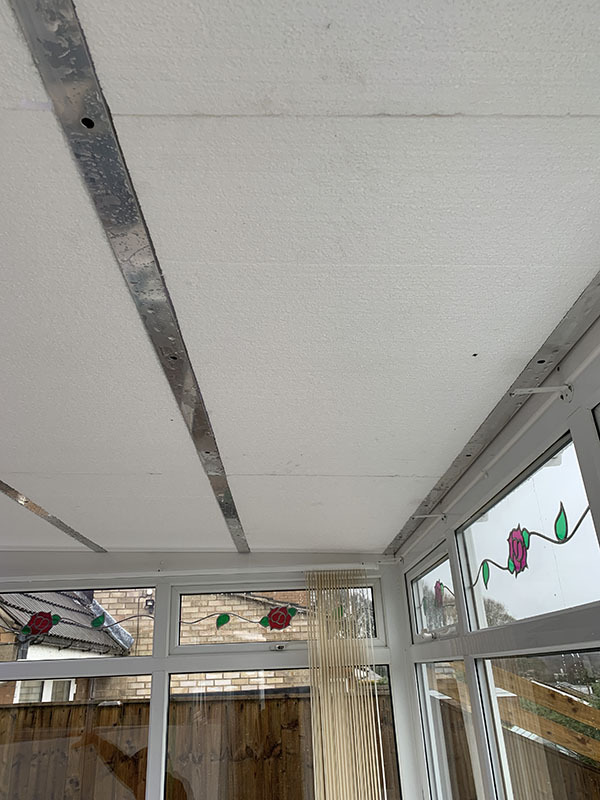 Then fitting a uPVC “U” channel to the front and rear edge of the roof with screws and cladding over the whole area with 300-mm white hollow cladding boards. Finally finishing the other two edges with a 45-mm architrave, secured to the side walls with super glue, to avoid using any screws and cups. The finished job was an excellent piece of work, our customers Mr & Mrs Woodcock were extremely pleased with the completed project. 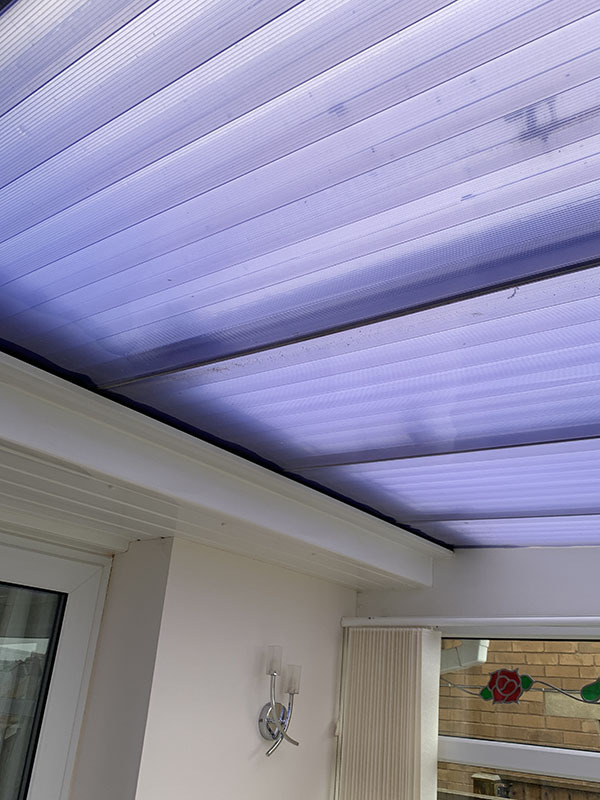 Why not contact Gardinia today, to learn more about how roof cladding can enhance your conservatory living space. Michael is the chairman of Gardinia Windows, having founded the company in 1983. From day one Michael's strived to offer customers a first class experience from the initial enquiry to the completed installation. Fast forward to today and Gardinia is now Huddersfield's longest established quality window company.